There are a few simple steps to ensure your next at-home workout is not only successful in getting it done but ensuring it’s a step towards your best body. Create your workout space. First, create an area in your home designated just for exercise and it doesn’t have to be big. 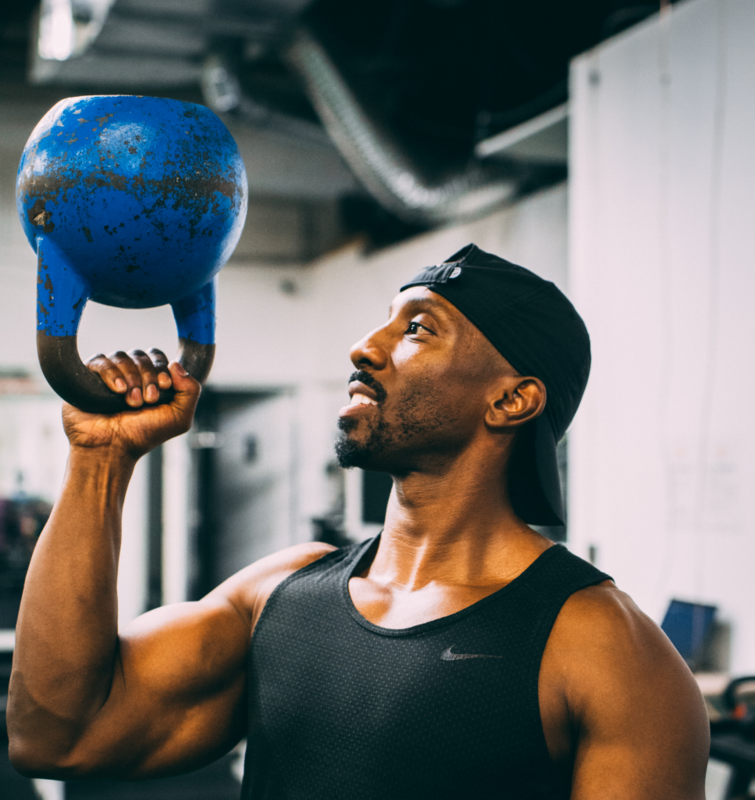 You can get a lot done with a few simple tools; an exercise or yoga mat, adjustable dumbbells (such as SelectTech dumbbells), bands and adjustable kettlebell. Once you claim the space and ensure it’s equipped with all your essentials (water, towel, maybe even a jumping rope) you’ll be triggered to think this is the space in your home for exercise. Ditch the phone. Turn it off, put it in a different room, or put it on airplane mode if your workout is on your phone. If you can print out your program all the better. The key is to minimize distractions as much as possible when working out in a space where you have access to all your personal things. Time yourself. With Quiktrain, time is always an important element of what we do because time is a variable that can show progress. Use whatever time you have to put as much intensity and as much exercising in that block of time. As you progress, challenge yourself by beating your previous timed exercise and build intensity. I like to challenge myself with how many push-ups or crunches I can do in a minute. While I don’t prefer working out at home, I do a lot of stretching and variations of plank exercises when I can. Blast your tunes. For me, music is key for getting into the zone. One great thing about working out at home is being able to ditch your headphones and fill your space with your own playlist. What are you listening to? Share your workout playlist with me in the comments below or hit me up on Instagram. Reward yourself. With any type of workout, whether you’re at home or at the gym, give yourself a reward. For some, that’s a great tasting BCAA that they enjoy while training or it can be a protein shake that you love. Make sure your reward is a healthy option that will nourish your body so it’s not counter-productive to your goals. If home is where your workout is, make the most out of it and bring your best. Performance equals progress. So, whether it’s getting your sweat on in the gym or at home, make sure you’re performing quality movements, executing to perfection, and having fun with it.